Scientists at the Mainz University Medical Center have discovered another molecule that plays an important role in regulating myelin formation in the central nervous system. 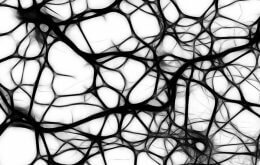 Myelin promotes the conduction of nerve cell impulses by forming a sheath around their projections, the so-called axons, at specific locations – acting like the plastic insulation around a power cord. The research team, led by Dr. Robin White of the Institute of Physiology and Pathophysiology at the University Medical Center of Johannes Gutenberg University Mainz, recently published their findings in the prestigious journal EMBO reports. Complex organisms have evolved a technique known as saltatory conduction of impulses to enable nerve cells to transmit information over large distances more efficiently. This is possible because the specialized nerve cell axonal projections involved in conducting impulses are coated at specific intervals with myelin, which acts as an insulating layer. In the central nervous system, myelin develops when oligodendrocytes, which are a type of brain cell, repeatedly wrap their cellular processes around the axons of nerve cells forming a compact stack of cell membranes, a so-called myelin sheath. A myelin sheath not only has a high lipid content but also contains two main proteins, the synthesis of which needs to be carefully regulated. The current study analyzed the synthesis of myelin basic protein (MBP), a substance which is essential for the formation and stabilization of myelin membranes. In common with all proteins, MBP is generated in a two-stage process originating from basic genetic material in the form of DNA. First, DNA is converted to mRNA, which, in turn, serves as a template for the actual synthesis of MBP. During myelin formation, the synthesis of MBP in oligodendrocytes is suppressed until distinct signals from nerve cells initiate myelination at specific “production sites”. To date, the mechanisms involved in the suppression of MBP synthesis over relatively long periods of time have not been understood. This is where the current work of the Mainz scientists comes in, as they were able to identify a molecule that is responsible for the suppression of MBP synthesis.